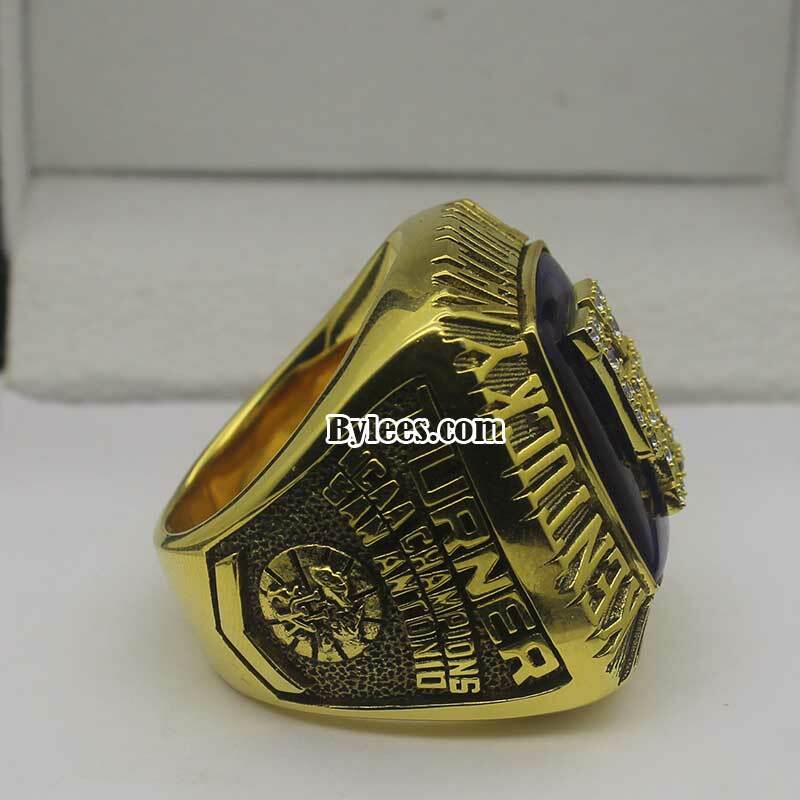 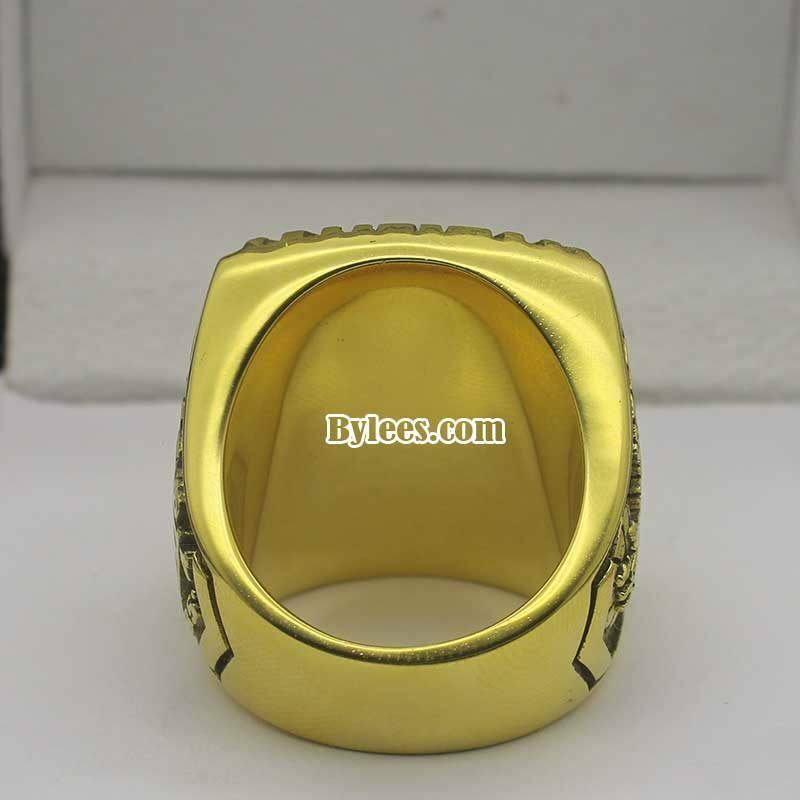 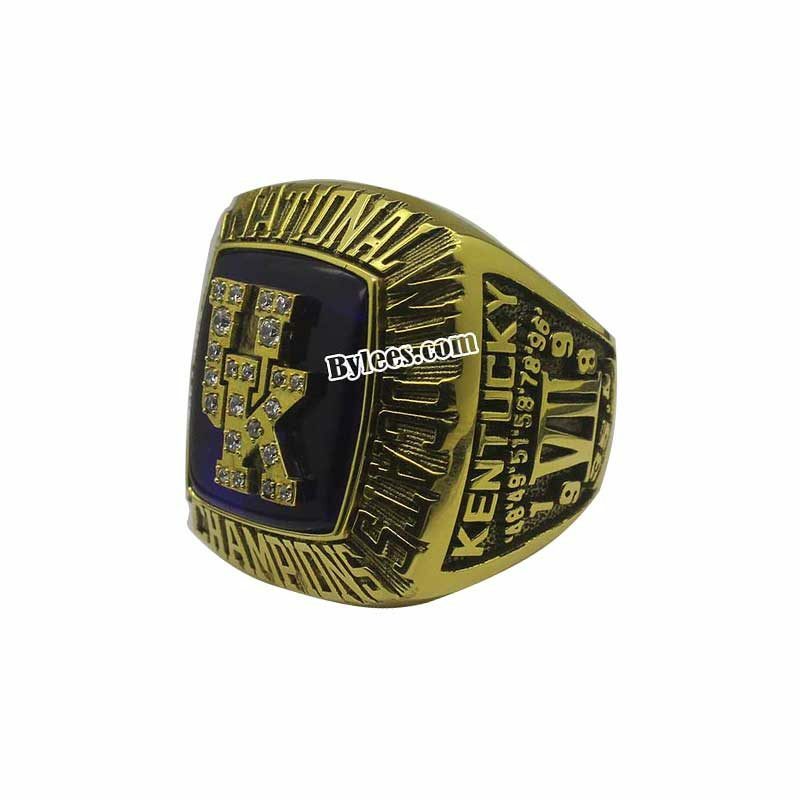 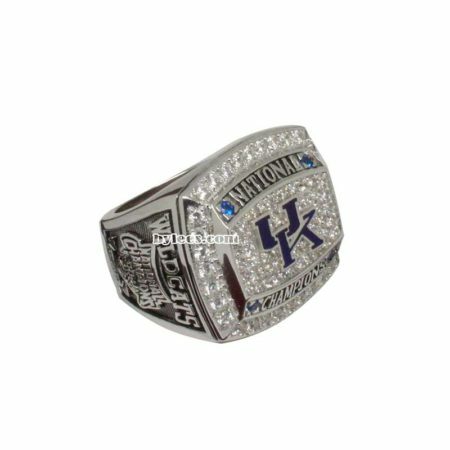 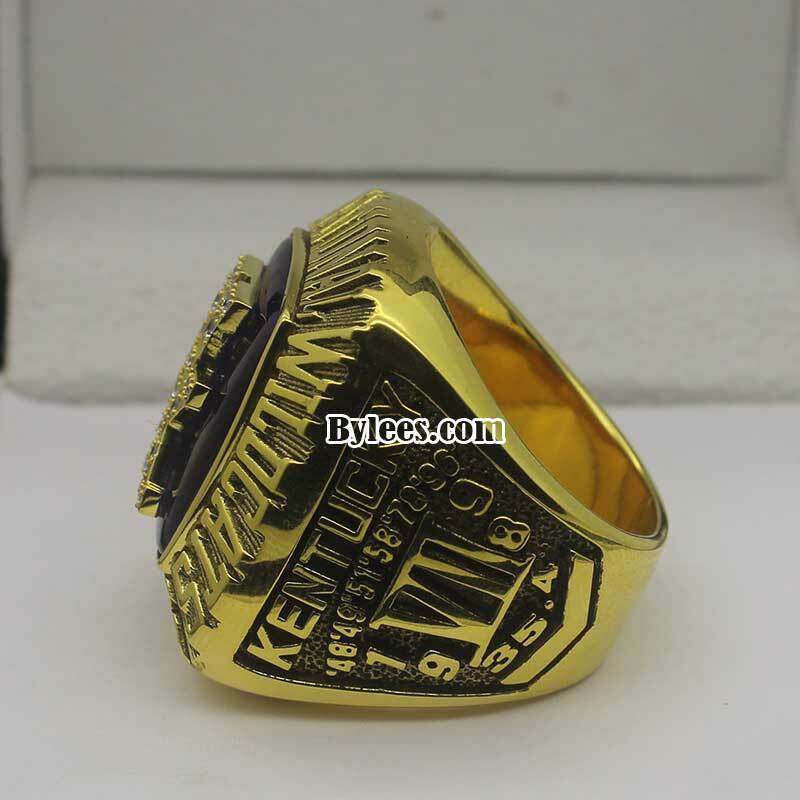 1998 Kentucky Wildcats Basketball National Championship Ring is the seventh UK national championship ring. 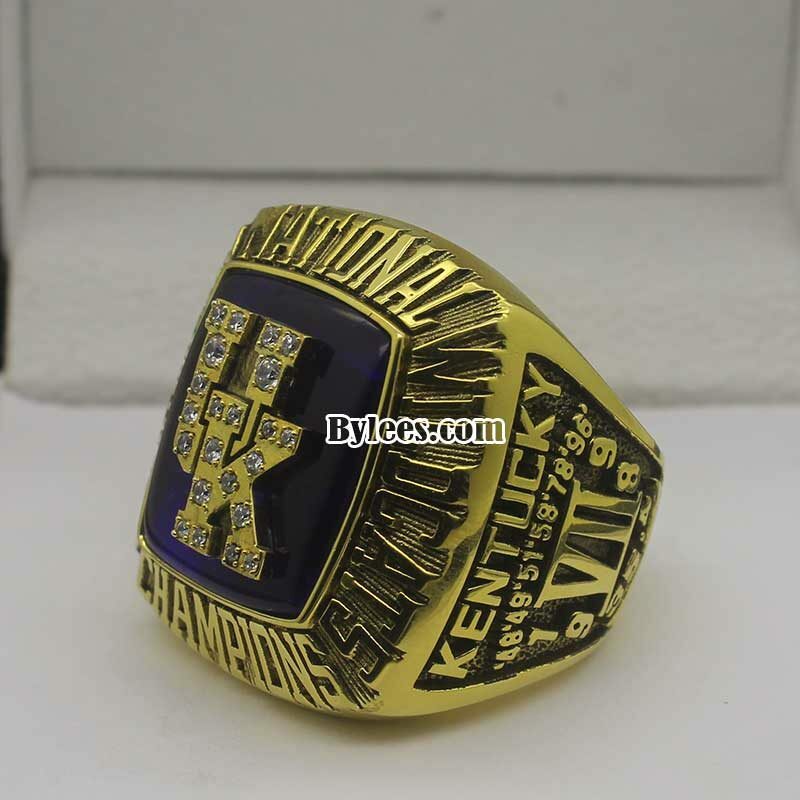 It commemorated the national championship of 1997-1998 NCAA Division I Men’s Basketball Tournament. 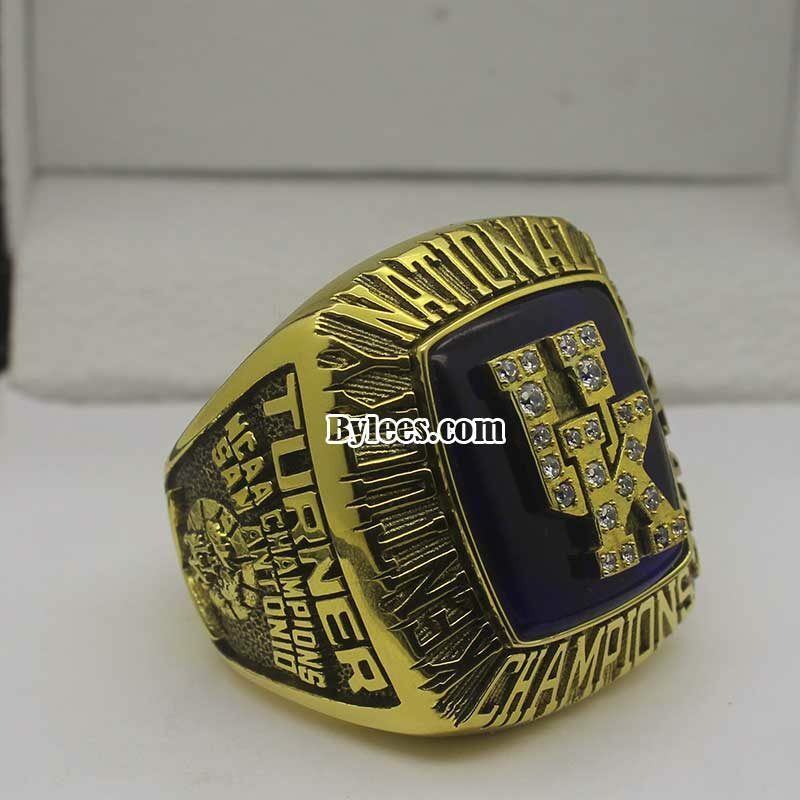 The version here is the 1998 UK Wildcats Wayne Turner national championship ring replica, this is his 2nd NCAA basketball national champions ring. 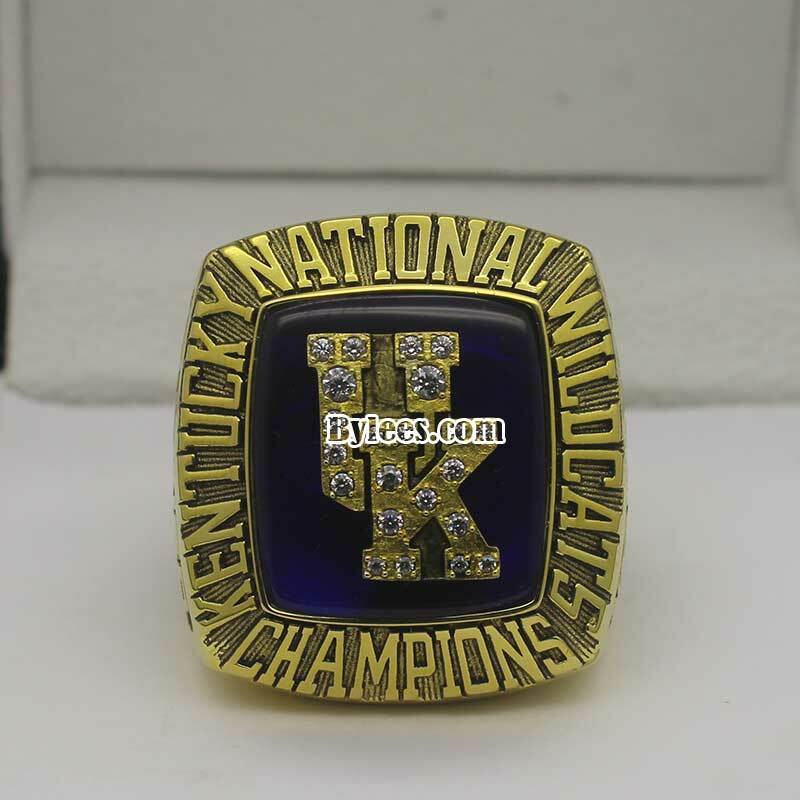 the 1998 UK Wildcats national championship ring is also the first national title ring for new coach Tubby Smith. 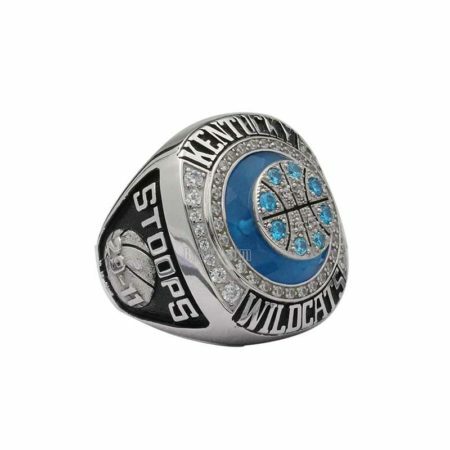 He was in his first season as head coach after taking over from Rick Pitino .even he led the teams to win the 1998 NCAA Men’s Division I Basketball Championship ring, but he was under massive pressure by UK fans because of his defense-oriented slower style of play.